Nowadays, more people are trying other forms of relaxation and exercise. For most people, especially those who are working for eight hours a day, a simple workout which consists of weights and cardio/aerobics just won’t do. This is why people are looking for more fresh ways to stay fit and relax at the same time. Some prefer pilates, others enjoy the classic yoga. Yoga is a special Hindu discipline which combines breathing control, meditation, improvement of body posture, relaxation, and simple exercise. Most of its famous moves are usually done while lying down or sitting on the floor, so without really analyzing it, a good and sturdy yoga mat is important in every session. Without a mat to support the body, there is no way that the person practicing yoga will be comfortable and successful in relaxing. 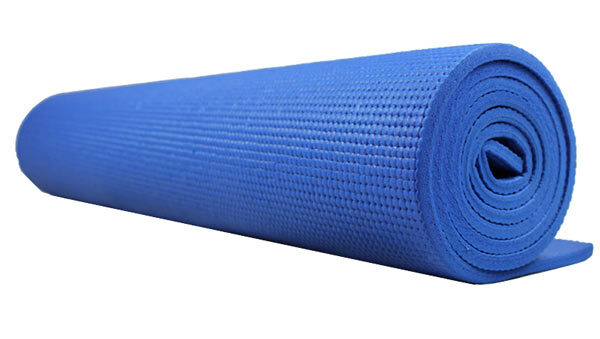 So, what makes a reliable and trusty yoga mat? Read on and learn more about yoga mats. For a yogi, or someone who practices yoga, a mat is very, very important. In a way, it serves as a symbol of their own personal space. A yoga mat is a yogi’s best friend in every yoga session. It is a fabricated mat that helps in supporting the yogi with every move he/she makes. Also called non-slip mats or sticky mats, these yoga mats aid the user and prevent their hands and feet from slipping during a difficult yoga position. Basically, that is all there is to know about yoga mats. However, if you want to learn more, feel free to keep reading. Yoga mats did not just spring out somewhere, and even though the practice of doing yoga started long ago, the invention of yoga mats did not begin until the 1960s. 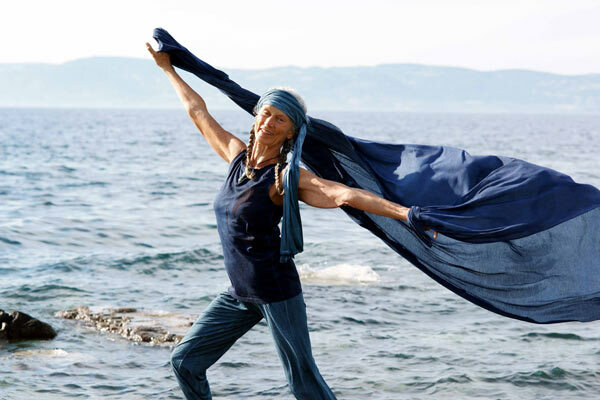 Angela Farmer, a world-renowned yoga instructor, was responsible for probably creating the yoga mats as we know them today. In 1968, while teaching yoga in Munich, she came across a piece of carpet underlay and used it during her practice. Upon returning to London, the material she discovered became very famous with her students. Thus, the world’s first yoga mat was born. 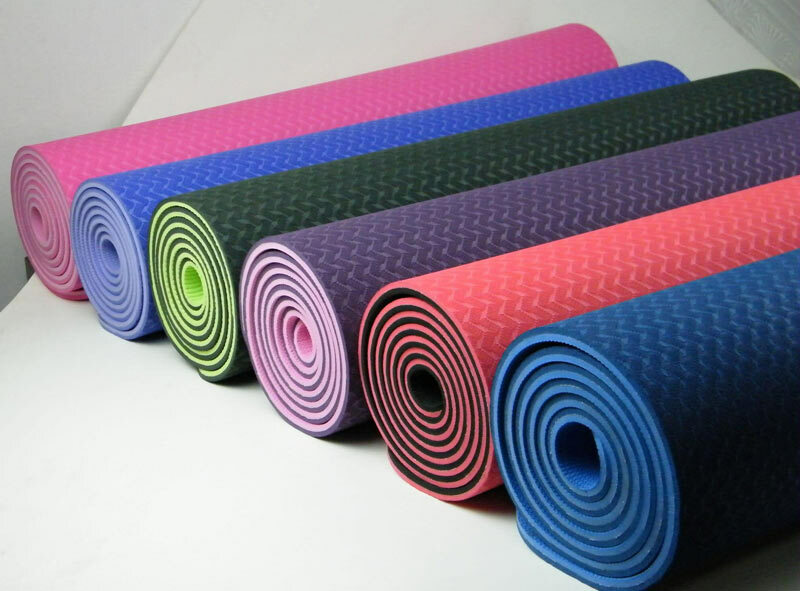 Most yoga mats usually measure around 182 centimeters long and 60 centimeters wide, while there are variants which are extra wide, measuring about 78 centimeters wide. As for the thickness, yoga mats can be 2 millimeters (lightweight), 4-5 millimeters (standard), or 7 millimeters thick--- it all depends on your needs and the intensity of yoga that you are practicing. Not all yoga mats are the same. Aside from dimension differences, all of them are made of various materials. Some are made from PVC, while others are created using natural jute and rubber. 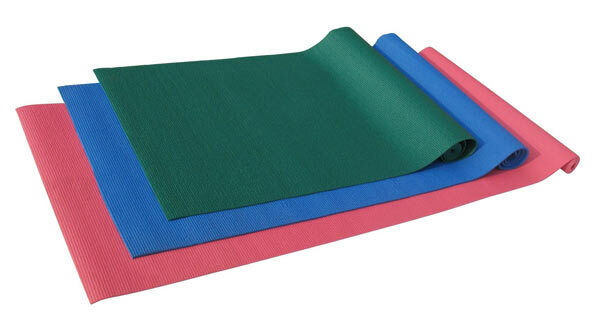 There are also yoga mats that are constructed using Thermoplastic elastometer, or even bamboo (outdoor yoga mats). Yoga mats also vary in appearance. When looking for the right mat, you can choose from a variety of colors, designs, patterns, and even custom logos. For example, there are “alignment mats,” which are printed with special guides to help users when it comes to proper alignment. So, are you ready to embark on a new journey to the yoga world? Do not go without the necessary stuff: discipline… and a yoga mat. Finding the right yoga mat is not always easy. There are lots of options out there, and at first, it can get a little tricky. What if the one that you find is not really the right aid? The thickness of your yoga mat is very important, especially with certain yoga positions. For example, if it is too thin, then your knee might get uncomfortable during the crescent lunge. However, if it is too thick, doing the Tree Pose can be quite difficult for you. 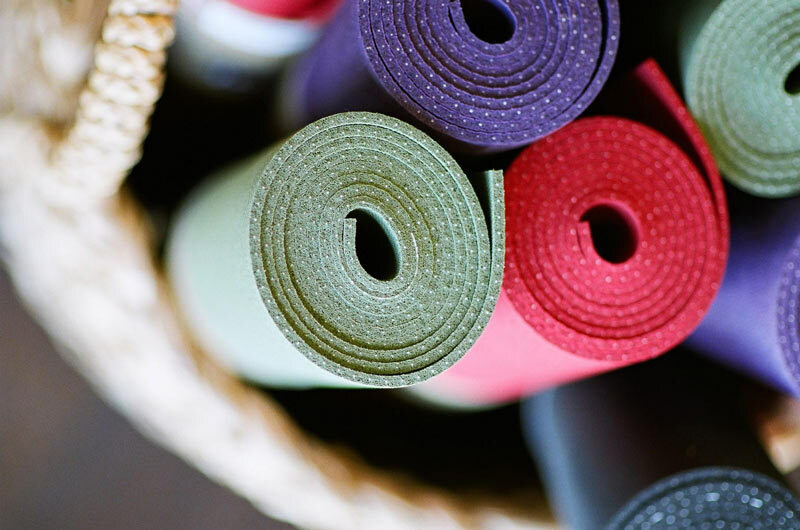 It is important to think about your own comfort when it comes to picking the right yoga mat. However, it is also crucial to ponder about the mat’s portability and your personal practice space. Do not buy a yoga mat that will not fit in, for example, your room, and do consider the fact that you have the tendency to bring it somewhere, so think about how easy it will roll and fit in your bag. Yoga consists of various poses that might include bending and testing your flexibility. A sticky yoga mat can aid you in these positions because it prevents you from slipping, sliding, and falling all over the place. 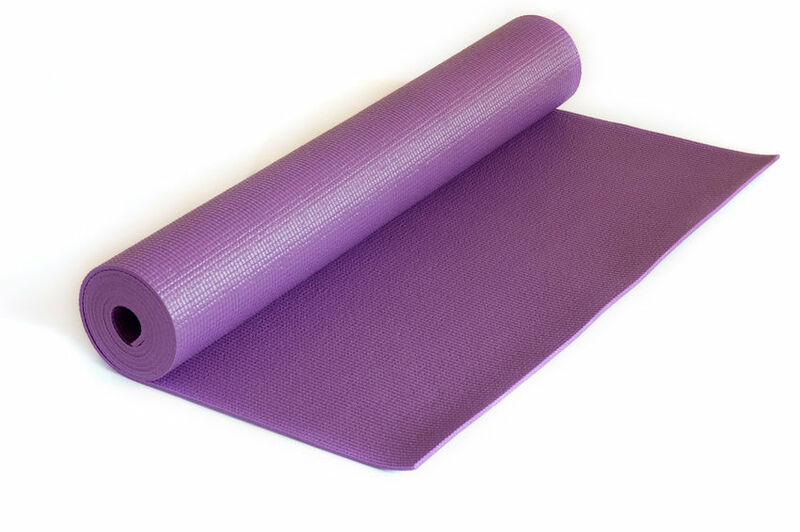 For a good sticky yoga mat, it is best to purchase a PVC yoga mat, which has the highest sticky factor out of all types of mats. 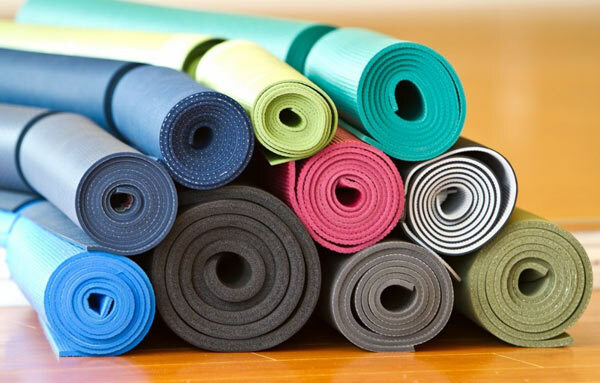 When choosing a yoga mat, determine what it is made of. Knowing the material of your yoga mat will help you determine if it will guide and help you enough in your yoga poses. The material of a mat is also important to consider because you can tell how it wears over time by the things it was made of. 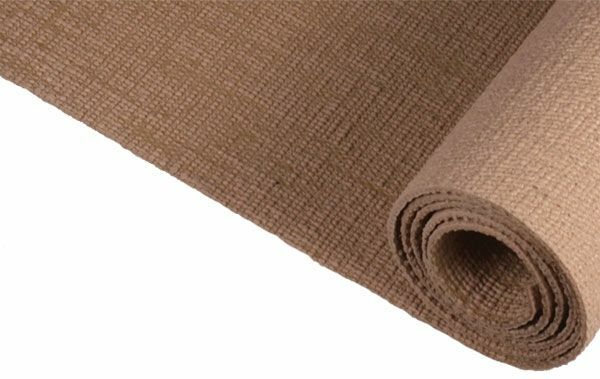 Depending on your preference, choose a mat that perfectly suits your needs, whether it is made of PVC, rubber, or jute. Knowing the texture of your potential yoga mat can help you determine how much traction it has. 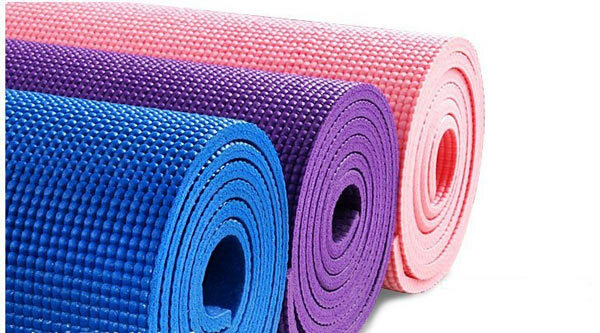 It is as important as the stickiness of the mat, because the texture also affects your performance while doing yoga. If the texture is just right, it can help prevent any slipping and sliding, especially when executing difficult poses.